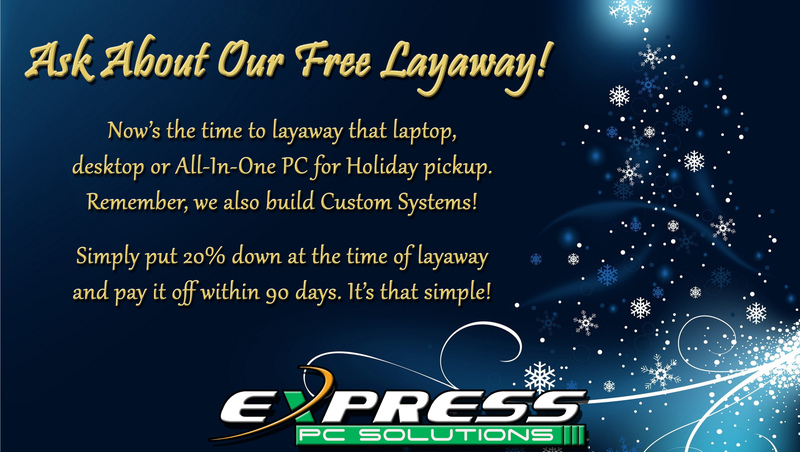 Express PC Solutions is a full-service repair center. We stock thousands of parts and in most cases are able to special order even the most hard-to-find parts for your tablet, desktop or laptop PC. When you drop off your computer with us, you’ll receive an invoice after paying a nominal diagnostic fee (amount varies based on type of computer/device). Upon approval of the total repair, the pre-paid diagnostic fee is applied to the total cost (similar to a down-payment). 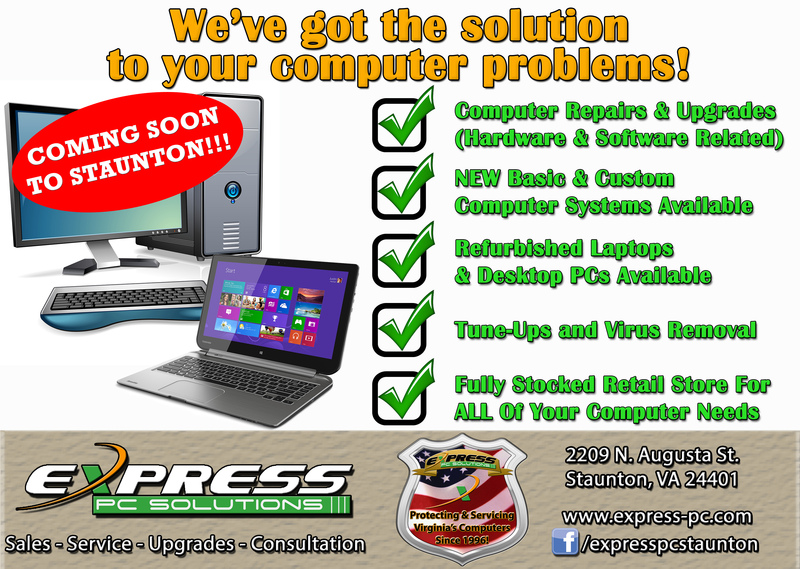 Call or stop in and let us know what you’re looking for, whether it’s a repair, an upgrade, or a full new system. We’ll determine the best course of action to get you up and running as quickly as possible!